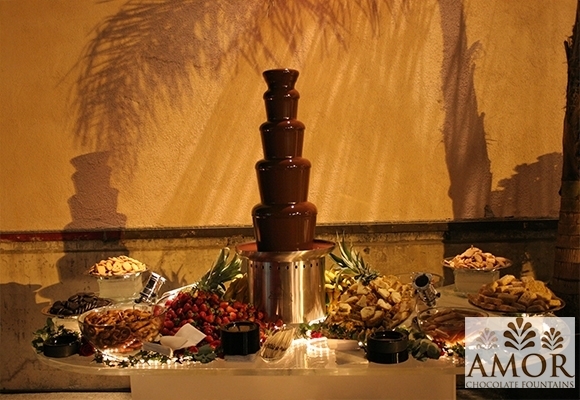 The #1 CHOCOLATE FOUNTAIN Service in all of Southern California! 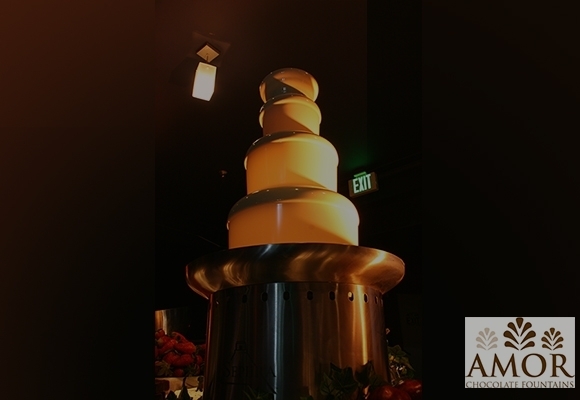 We are a California based Chocolate Fountain Company serving the Southern California area and have dedicated and focused on the highest standards of customer satisfaction. 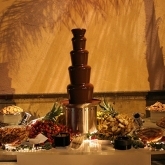 We provide only top quality service to ensure an excellent chocolate fountain experience. 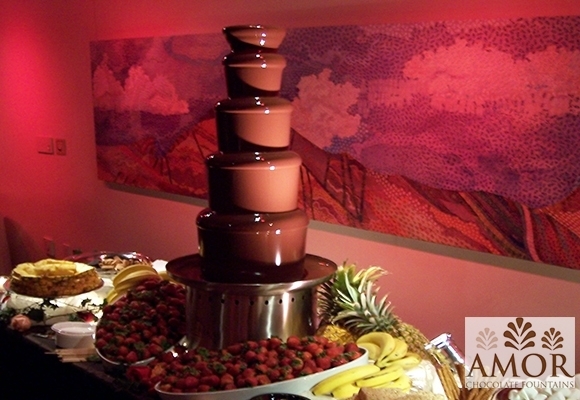 Imagine the reaction of your guests when they see and smell rich chocolate cascading down a 44" tall chocolate fountain. 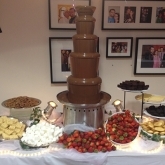 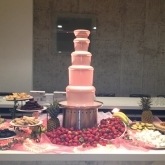 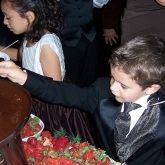 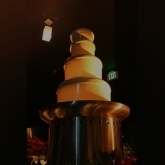 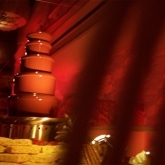 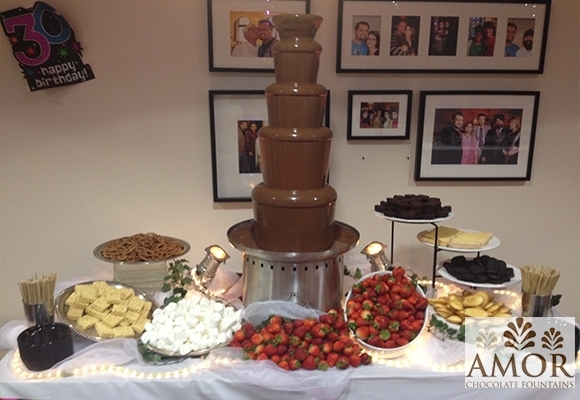 Chocolate Fountains for rent in two sizes and can handle events from 20 to 2,000 guests. 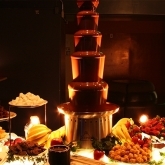 Chocolate Fountains are quickly becoming the most demanding service sought after item at weddings, parties, and other catered events. 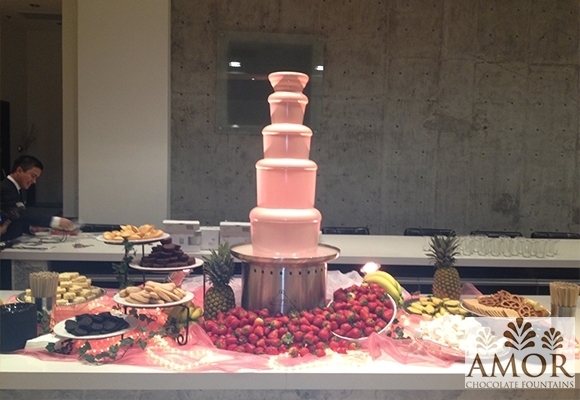 Imagine a chocolate fountain, where rich Belgian Chocolate with a flowing curtain of delicious warm chocolate cascades down the fountain tiers like a chocolate fountain or waterfall, allowing guests to dip a variety of fruits and desserts, creating delicious chocolate covered delicacies. 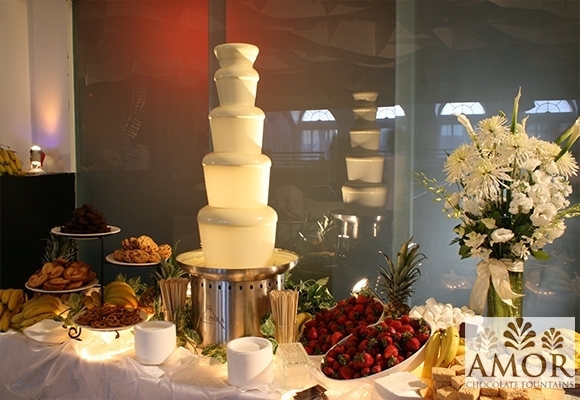 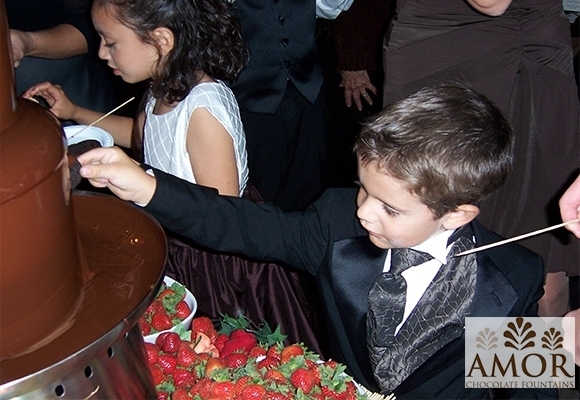 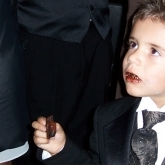 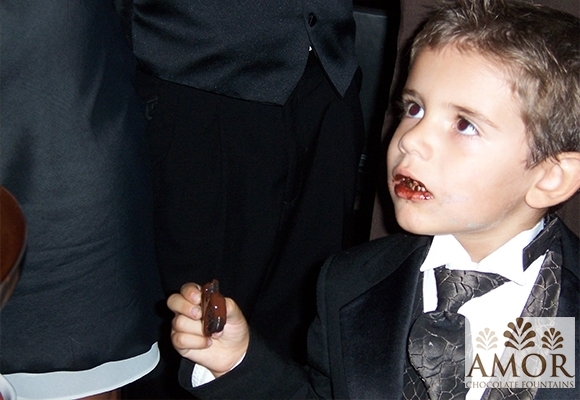 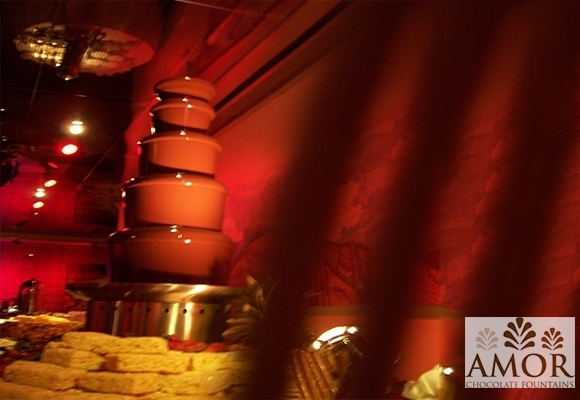 Amor's Chocolate Fountains are dedicated and focused on the highest standards of customer satisfaction. 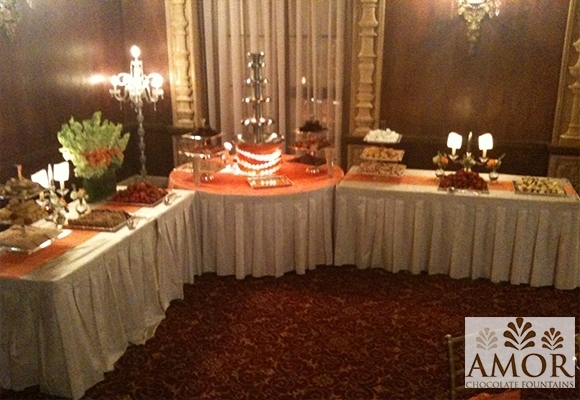 Our friendly and knowledgeable staff is committed to excellence and is dedicated to making your event a success! 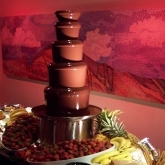 If you haven't seen a chocolate fountain in action, let us tell you - they are AMAZING and guaranteed to make sure people are out of their seats and having a great time at your wedding, corporate party or special gathering. 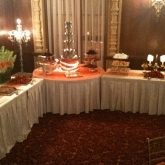 We perform at hundreds of weddings, events, and parties annually. 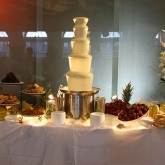 With over 25 years in the service and catering industry. 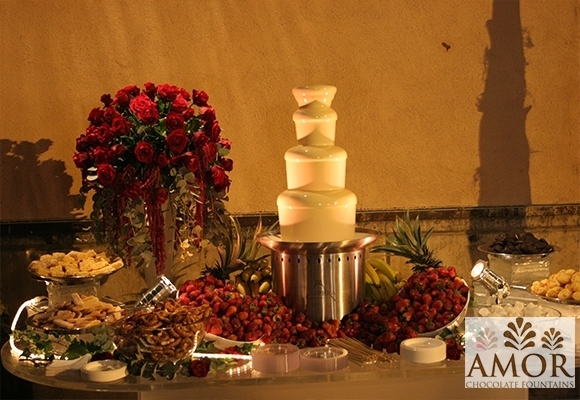 We understand the needs of your special day and we take pride in seeing a smiling face on every one of your guests. 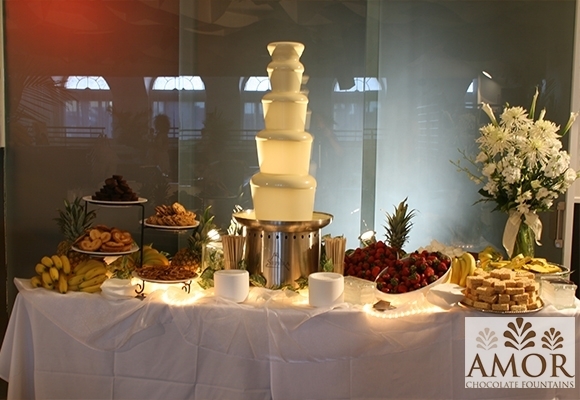 Please feel free to contact us if you have additional questions, if you would like to check the availability of a particular date, or if you would like to rent one of our fountains please feel free to call us anytime to talk. 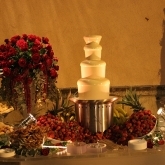 Look forward to working with you! 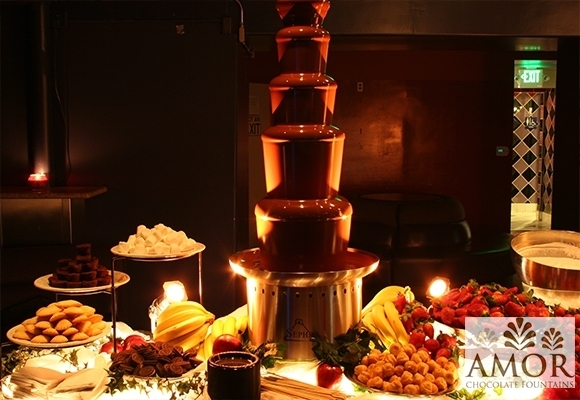 • “44” Five Tier Chocolate Fountain • 25# Belgian Chocolate for 200 to 250 people • Attendant in Formal Attire • Unlimited Skewers & Napkins, Plates • Setup & Breakdown • 4 Hour Event and Tear Down • **PLUS** 8 dipping items of your choice for up to **200** people • Custom Décor & Display for the fountain with all our packages ($250 Value). 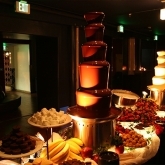 • “44” Five Tier Chocolate Fountain • 25# Belgian Chocolate for 250 to 300 people • Attendant in Formal Attire • Unlimited Skewers & Napkins, Plates • Setup & Breakdown • 5 Hour Event and Tear Down • **PLUS** 10 dipping items of your choice for up to **250** people • Custom Décor & Display for the fountain with all our packages ($250 Value). 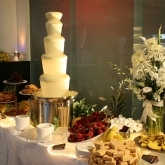 What we need Onsite • We require ground floor setup or elevator access to other levels. 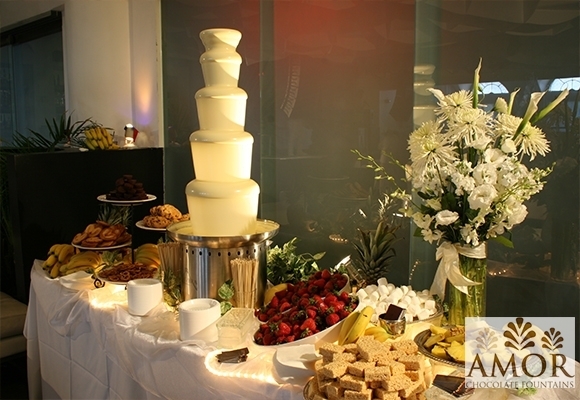 • We can setup inside or outside for your event. 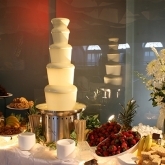 • We will require 1 – Separate – 20 Amp Circuit and 1 – 6ft Banquet Tables with Linen. 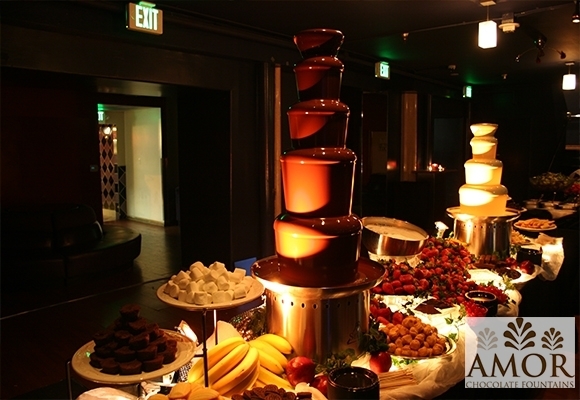 Additional Cost Local Delivery: $100.00 Outside of Local Delivery $150.00 Sales Tax: 9.00% These will be added to final package based on guest count and hours of service.